Embakasi Village started off in the 1950s as the location of the infamous Embakasi Prison, nicknamed “Satan’s Paradise”, one of the most notorious prisons during the State of Emergency imposed by the British Colonial government at the time. The mau mau suspects detained in this Prison were forced to construct Embakasi Airport between 1954 and 1958. This airport was later renamed Jomo Kenyatta International Airport (JKIA), and is today the busiest Airport in the East and Central African region. With the end of the State of Emergency, the government and private developers built housing for low income workers in this area. These consist of rows of one- story buildings subdivided into single rooms. Right now, these buildings are rundown due to poor maintenance. In the last ten years, some private companies have been acquiring some of the house from the government, demolishing them and replacing them with modern four-story apartment blocks with one bedroom flats. Hopefully this will give the area a much needed face-lift. 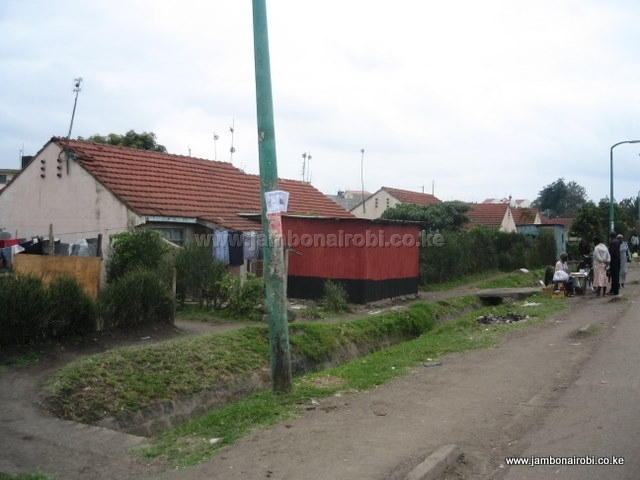 Typical monthly rents are about Ksh 5,000 for self-contained single rooms and Ksh 8,000 for one bedroom flats. 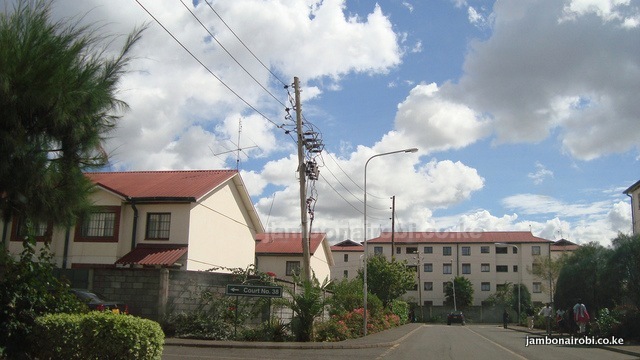 Nyayo Estate was built near Embakasi Village by NSSF during the Moi era in the late 1990s to cater for middle class home owners. It is a mammoth housing development consisting of four-story apartment blocks and one-story maisonettes which will add up to 4774 units when its completed. Due to controversy dogging this project , some portions of the estate are yet to be completed, long after the planned 1999 completion date. However, finishes on the remaining structures are ongoing. There’s a perimeter wall surrounding the estate, good security at the main gates, tarmac access roads, playgrounds and street lighting. 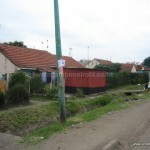 While most of the houses in Nyayo Estate are owner occupied, there’s also a good number available for rent. Typical sizes are three bedroom flats going for a monthly rent of about Ksh 20,000, plus a service charge of Ksh 1,700. The area is well served by all the large supermarkets with Tuskys located opposite the Coca Cola plant, Nakumatt Embakasi along North Airport Road near City Cabanas, and Uchumi at Taj Mall at the Outer Ring Road and North Airport Road junction. In addition, there are smaller supermarkets in Embakasi village. Taxis – these charge between Ksh 800 and Ksh 1,200 from the City centre.